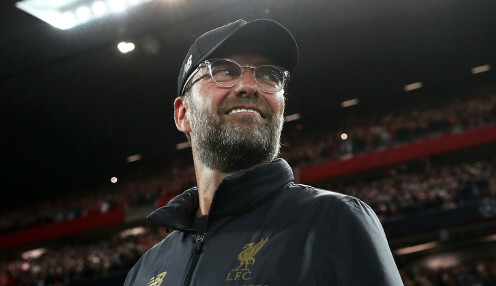 Liverpool head coach Jurgen Klopp was delighted to see his side take a 'massive step' by seeing off Bayern Munich to reach the quarter-finals of the Champions League. The Reds claimed a 3-1 victory in Munich to progress to the last eight of the competition, having been held to a goalless draw by Bayern in the first leg of the tie at Anfield. I am really happy about the result and the fact we are through. And Klopp, who led the Merseysiders all the way to the Champions League final last season, was full of praise for his side's performance. He told his club's official website: "It's massive, a big step for us - a big, big, big one for us. We will see what we can do with it. "But it is still fantastic sign that we again set a mark for LFC - that we really are back on the landscape of international, top-class football. "We all think that's where this club belongs and tonight we proved it a little bit. I am really happy about the result and the fact we are through. "Whoever we get as an opponent we will take. The boys love the competition, they really dig in in these moments." Liverpool join Manchester City, Manchester United and Tottenham Hotspur in the last eight of the Champions League, with the quarter-final line-up completed by Juventus, Barcelona, FC Porto and Ajax. The Reds can be backed at 3.50 to win the Champions League, with the Citizens priced at 1213.00 and Barca available at 2.50.